El Palacio Damasceno provide authentic Syrian furniture for a wide range of commercial settings. Interior designers turn to our artisans in order to acquire unique eye catching furniture pieces that wonderfully complement their interior design projects. Whatever the theme of the interior design project, we have the perfect Syrian furniture masterpieces. Interior designers favour El Palacio Damasceno Syrian furniture due to its versatility and ability to transform the room in which it features. What’s more, because we value interior designers and the work they do, we offer discounted prices for professionals. Moman, the founder of El Palacio Damasceno has handpicked a select few items which have proved popular in past with Commercial interior designers. 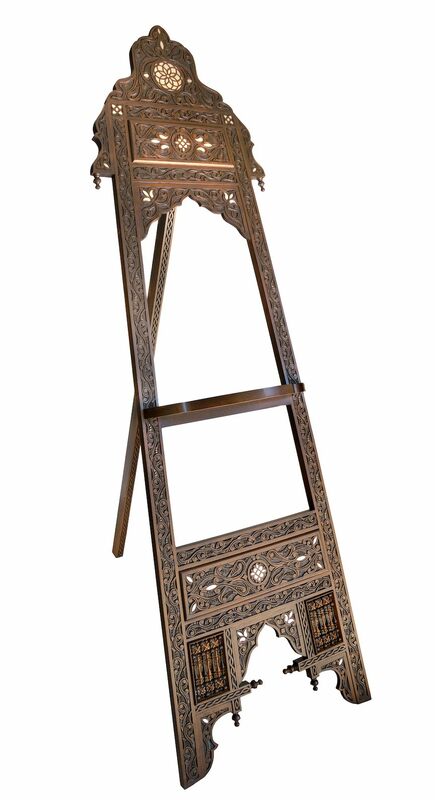 The ALHAMA is an exclusive Syrian chair design hand carved and inlaid with beautiful Syrian mother of pearl. The ALHAMA Syrian chair will make a wonderful addition to any room and not only stands out for its elegant design but provides a comfortable seating solution. 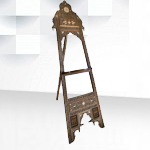 If you are an art lover then you will love this wonderful Syrian easel design. The MARSAM is made using walnut wood and Syrian mother of pearl which makes this a spectacular addition to any art studio whether you’re an experienced artist or just starting out. 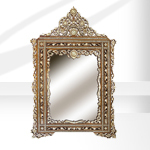 Don’t just admire yourself in this wonderful Syrian mirror design, admire the outstanding craftsmanship and dedicated which has gone into the creation of this elegant piece. 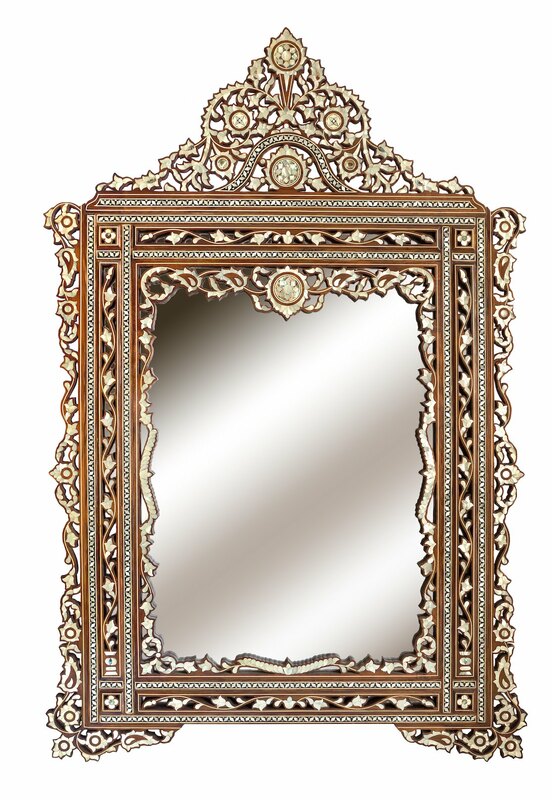 The ALWASL has been created using walnut wood and heavily decorated using inlaid Syrian Mother of Pearl.